Austere budget, short staffed – Really? Today I had some work to do in town at one of my landscaping jobs. Yes, I do that too. Need help – email me! Two things caught my attention. First the corner of Ireland Grove Road and Towanda Barnes. 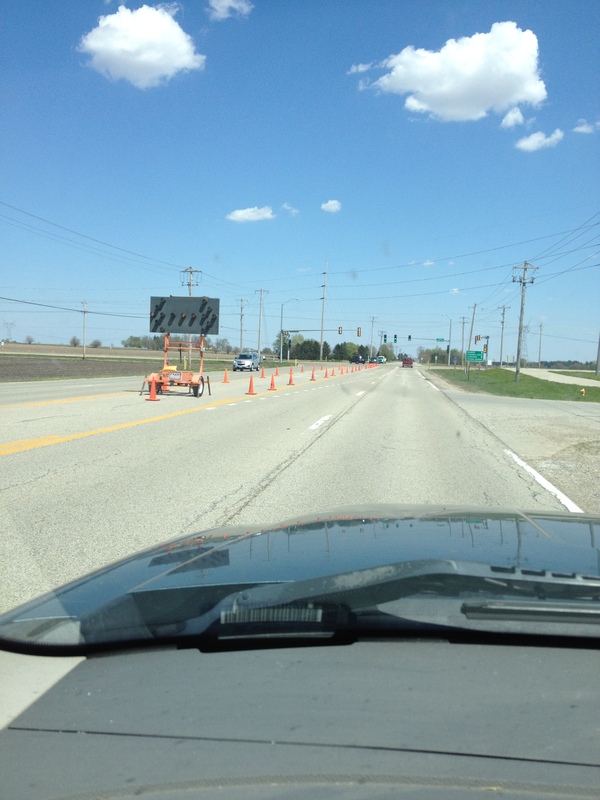 A few months ago the City of Bloomington created 2 turn lanes from Ireland Grove on to Towanda Barnes heading north. 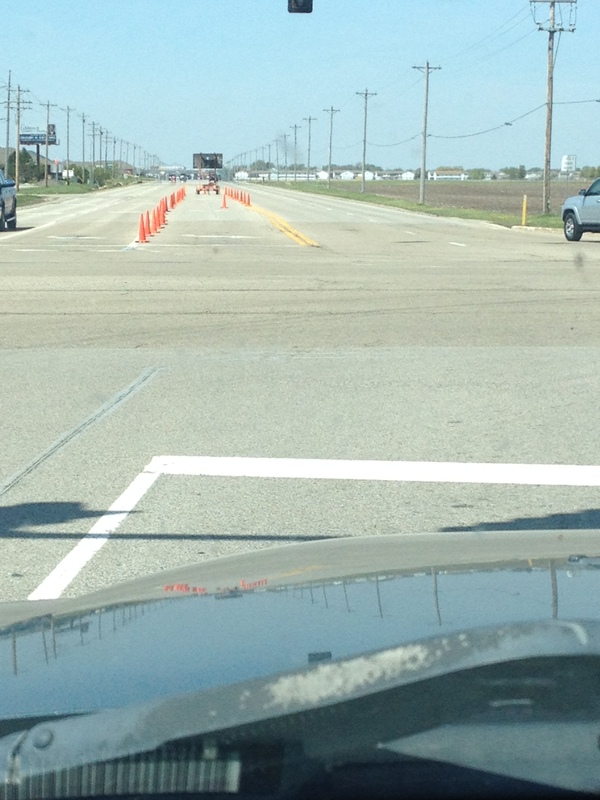 Last week one of the turn lanes was blocked off, no work was done on the road. Then the cones disappeared. Today the cones were back, no workers in site. Can somebody explain why obstructing traffic when no work is being done is a good idea? The two turn lanes were working really well! I’m not in town every day, so I don’t know exactly when the cones were put up again. 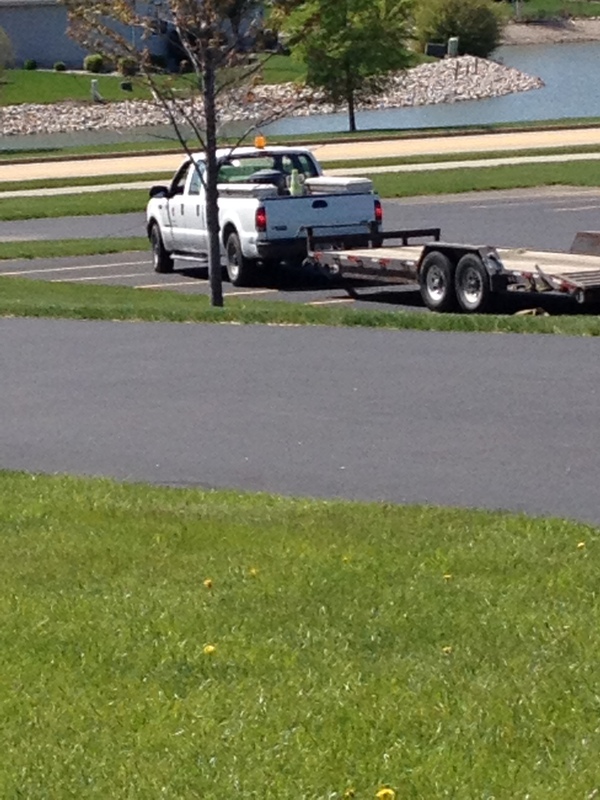 Next: When I arrived where I was working, a City of Bloomington truck was parked nearby – with a guy in it. A trailer was attached to the pickup, obviously somebody was off mowing somewhere. Note the tail lights are on, listening to the radio? I have no idea how long the guy was sitting there before I arrived at 11:40 am. At 1:20 the mower arrives. 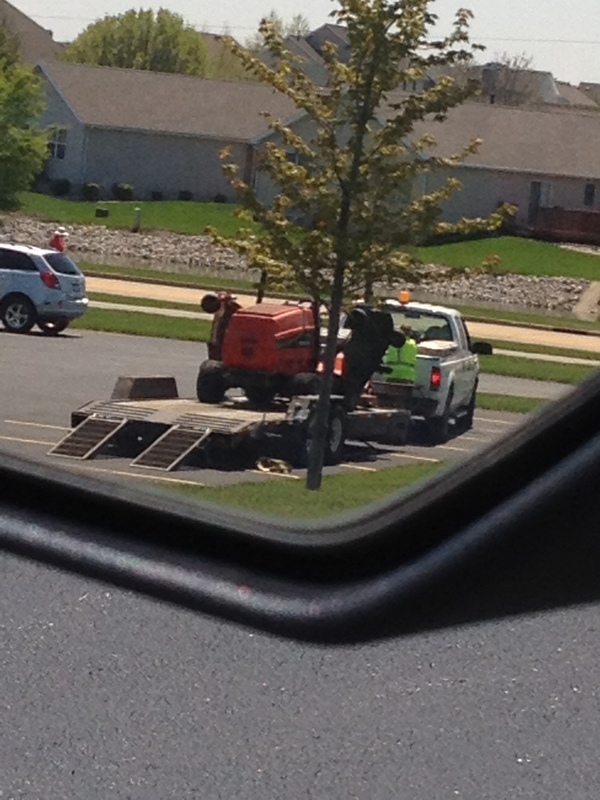 After 15 minutes the mower is secured and the two leave. Government isn’t run like a business. That is why what they do must be limited. Paying an employee to do nothing for almost 2 hours wouldn’t happen in the private sector. If the City has an explanation, I’d love to hear it. I hope it isn’t that the union contract requires 2 people. Posted in BloNo, Bloomington, budgets, Hales, Local, Renner.Tagged CITY OF BLOOMINGTON, Public Works. I run up and down towanda Barnes several times per day….they have been shifting the lanes over the past few days to oil them pre asphalt……so this is actually legit….. I drove by again today. The pavement hasn’t changed, if they are doing anything to the closed lane it doesn’t show. Nobody working there either. 3rd time this week thru the intersection. NO work is being done!